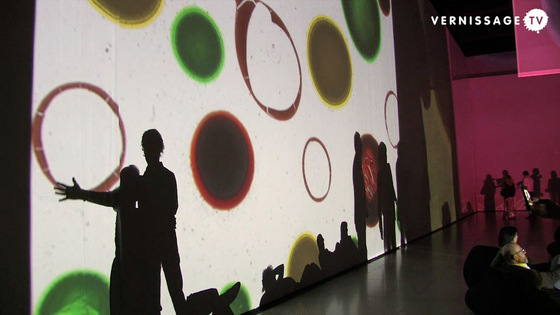 Until August 31, 2014, the Neue Nationalgalerie in Berlin (Germany) presents ZERO artist Otto Piene's large-scale slide installation The Proliferation of the Sun. To mark the start of the exhibition, a Sky Art Event has been held outside the Neue Nationalgalerie on the evening of July 19, 2014. Otto Piene was born in Laasphe, Germany in 1928 and died shortly after the opening of the exhibition at Neue Nationalgalerie on July 17, 2014. In this video, we attend the opening of the exhibition, and Joachim Jäger, Head of the Neue Nationalgalerie, provides us with an introduction to the artist, his work, and the current exhibition at New National Gallery. Otto Piene was a key artist of the twentieth century avant-garde and one of the founders of the international ZERO movement in the 1960s. He played a definitive role in art's programmatic new beginning by including elementary natural forces. His smoke and fire images, his light spaces and ballets stand for a virtually romantic longing for unity with nature. Otto Piene's interdisciplinary large projects in public space were pioneering, beginning in the late 1960s in the context of MIT's Center for Advanced Visual Studies, where he served as director beginning in 1974, or his monumental rainbow for the closing ceremony of the 20th Olympic Games in Munich 1972. Piene's intense collaboration with natural scientists and technicians opened new perspectives for art that can be found echoed in contemporary positions like those of Olafur Eliasson, Carsten Höller, or Tomás Saraceno.